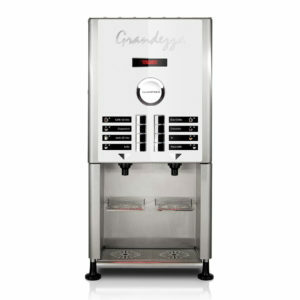 SandenVendo G-Cafe ED7 Coffee Vending machine. 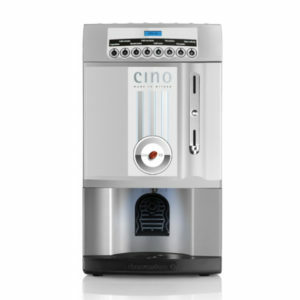 The first Espresso Coffee Machine developed in a total fusion of Japanese technology and Italian Craftmanship. 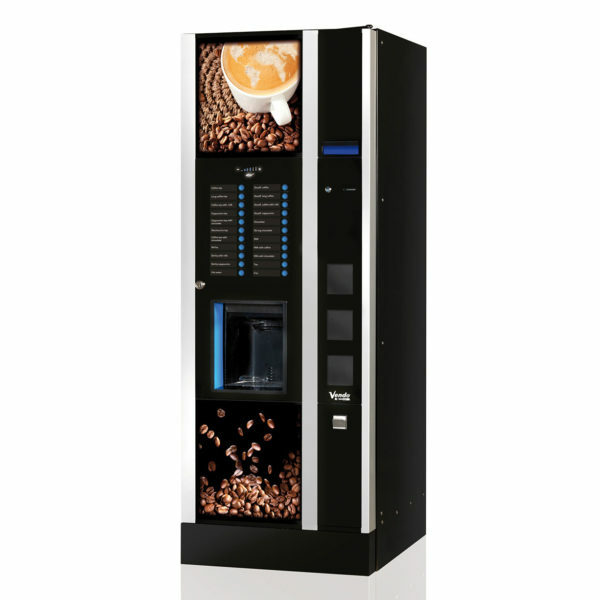 The first ever 1000 cup, automatic coffee vending machine presented by SandenVendo. It is user friendly with easy maintenance including the Vendo “all-in-one site drawer”. 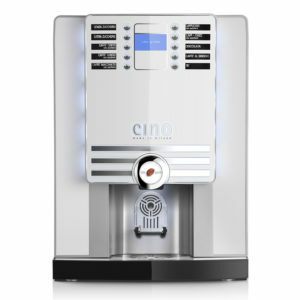 The machine has a professional coffee brewer and grinder, high capacity double column stirrer and dispenser and an innovative capacitive keypad. The G-Caffe can also be paired with a “slave” Vendo snack machine which will allow both machines to vend off a single payment system.